Welcome to Jellyfish Lake – home to the unusual golden jellyfish. The golden jellyfish is a unique subspecies, found in just one lake in the Republic of Palau. Golden jellyfish have a symbiotic relationship with tiny algal organisms called zooxanthellae. Golden jellyfish feed on sugars produced by the zooxanthellae living inside the jellyfish's tissues. 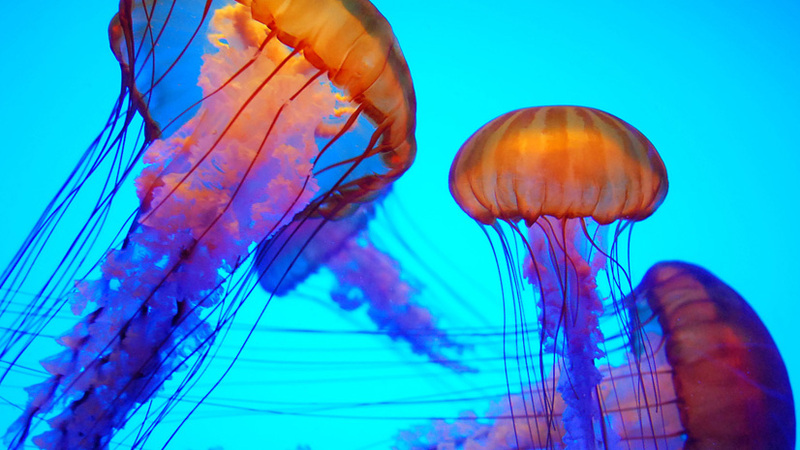 Jellyfish sense their environment using a primitive nervous system called a nerve net. On a small island in the republic of Palau, is a body of water called Jellyfish Lake. It’s home to nearly twenty million members of a unique subspecies found nowhere else on Earth. And they have a strange method of feeding.